Now without further ado, let’s see the how to! 1. 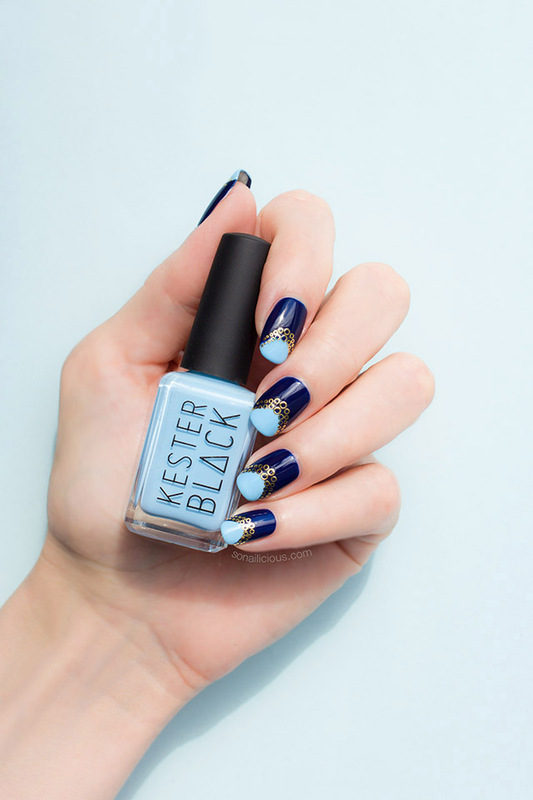 Paint all nails with dark blue nail polish and wait for 5 – 10 minutes for it to dry. 2. 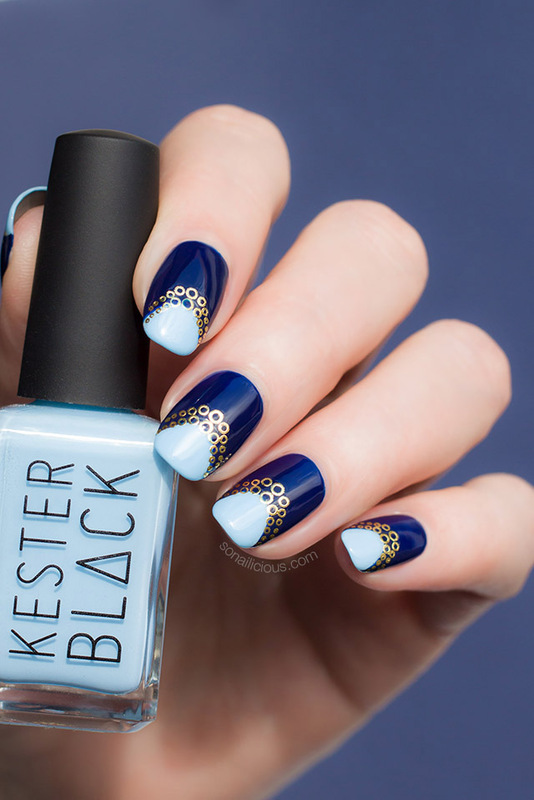 Add light blue details at the tip of each nail using nail polish brush. Wait 5 minutes more for your base to dry. While waiting clean up any polish application mistakes with angular brush, if needed. 3. 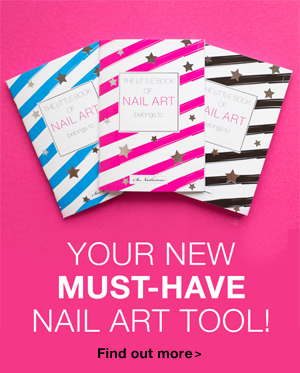 Measure the Droplet nail stickers to decide which one you will use to suit your nails. 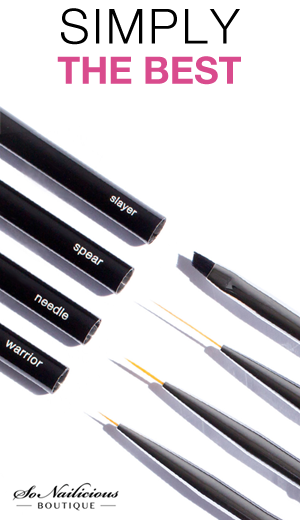 Slightly larger is ok as you can trim it. 4. 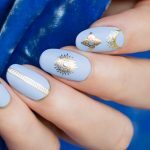 Using tweezers pick up the stickers and apply them on all nails. 5. 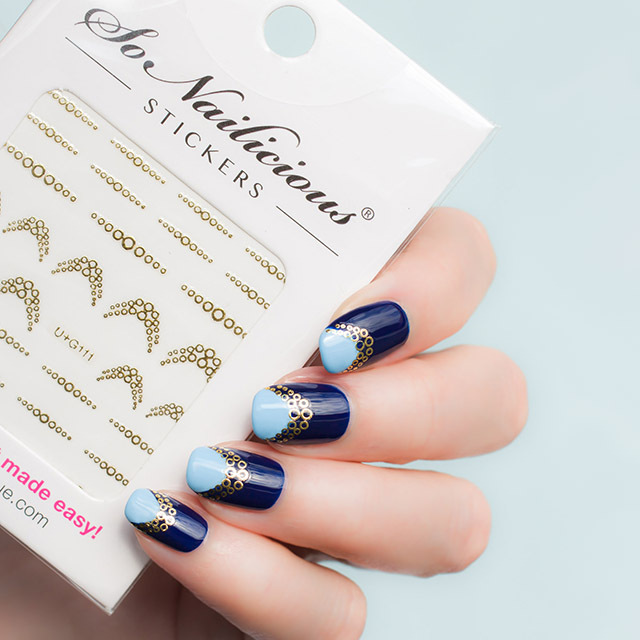 Use silicone tool to smooth the surface of stickers and get rid of any bubbles underneath. 6. 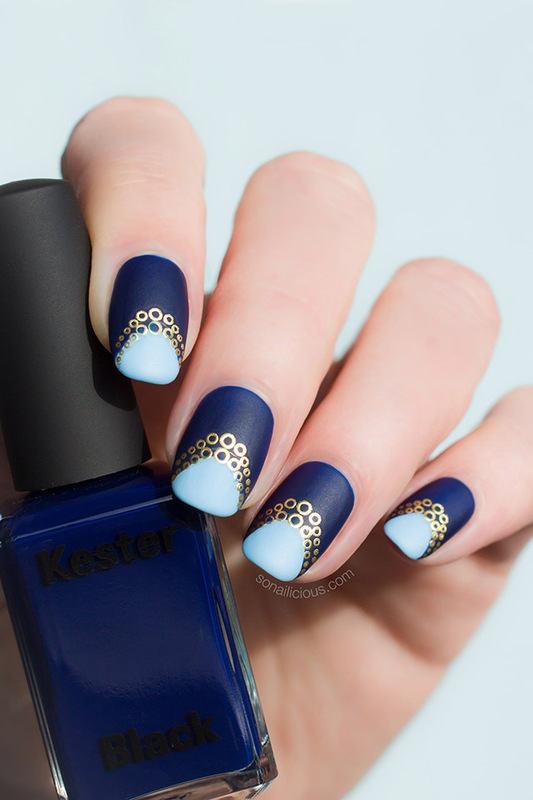 If required, use cuticle cutters to trim the edges to make sure the gold stickers are not sticking out beyond the painted part of each nail. 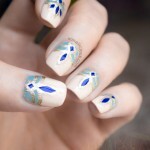 Then apply 2 coats of high gloss top coat. 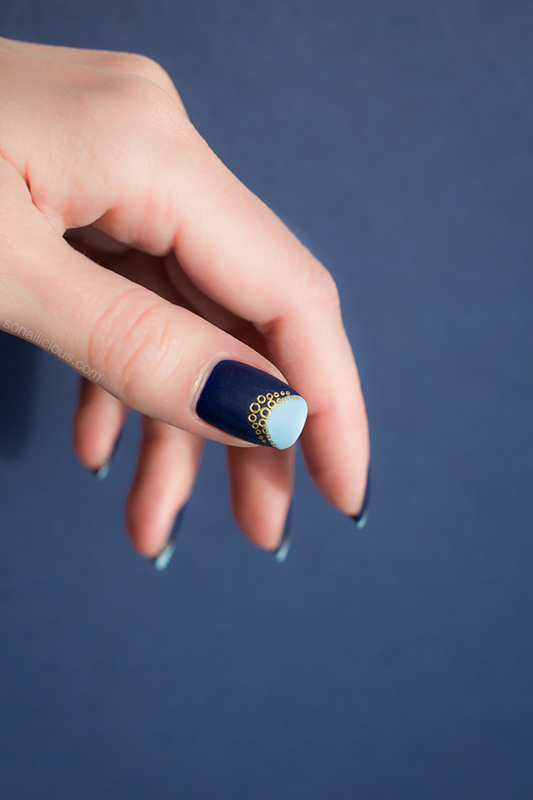 You can leave it glossy or add 1 coat of a matte top coat for a velvety look. 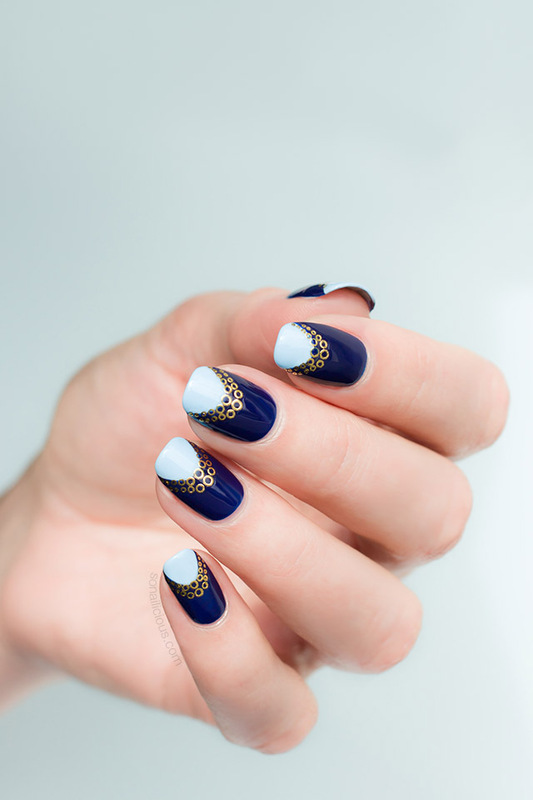 How do you like this idea and \what colour combination would you use for this kind of French manicure? P.S. 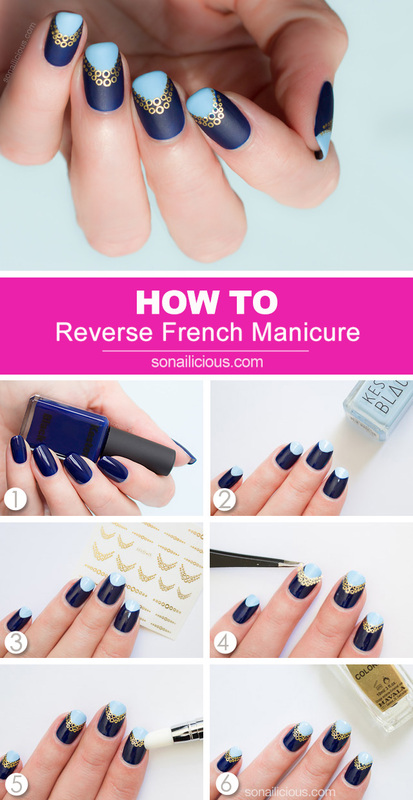 If you try this Reverse French manicure, I would love to see it! 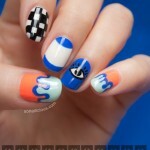 Tweet or Instagram me @So_Nailicious your manicure with a tag #sonailicious.